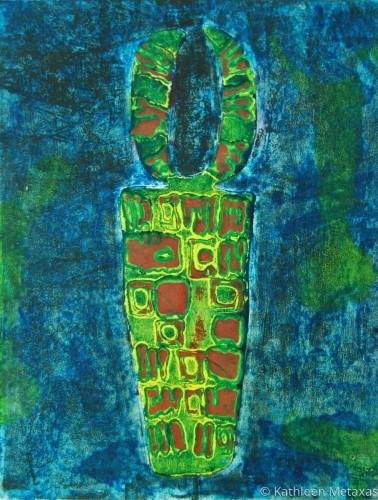 Collagraph print inspired by tribal African youth masks. 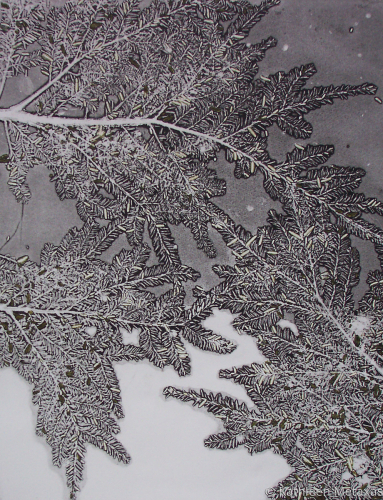 A collagraph print is created by working ink into a printing plate that is a tactile and textural collage. 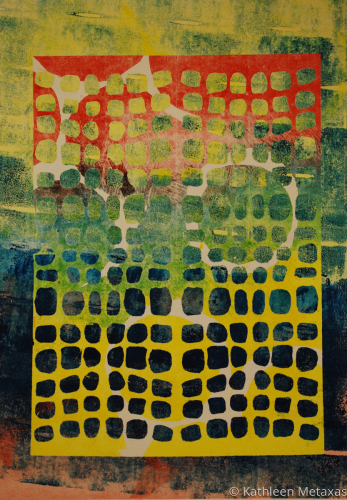 One-of-a-kind monotype print using Akua Kolor non-toxic inks and a hand pulled etching press. 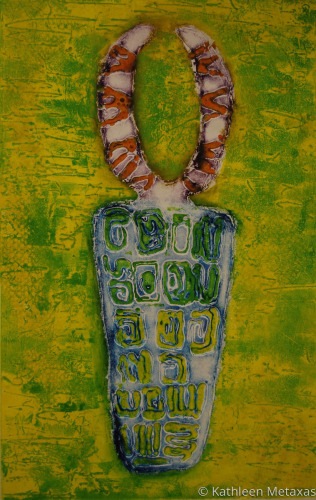 This monotype print is a one-or-kind print made by creating a painting on and acrylic plate then transferring it to paper. I use the subtractive method. 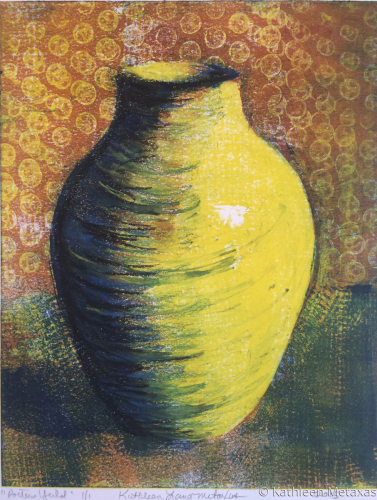 The resulting print exhibits luminosity and movement. 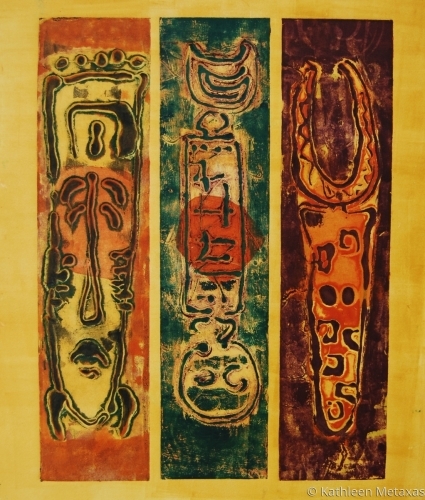 Monogype print. 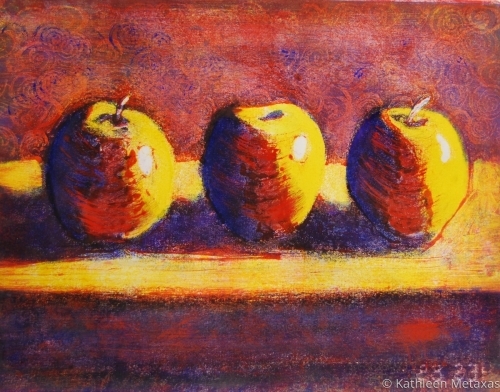 A "mono"-print is a one of a kind. It was reproduced as a Holiday Card for Bucks County Community College in 2005. It was made with non-toxic water based ink. "Arising" is part of an ongoing body of work that investigates African Masks, self portraits, and the "spirit" embodied within them. 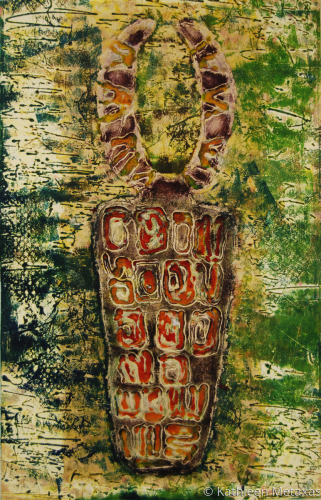 Collagraphs are created using a collage type plate using repurposed materials. The unique quality of each piece is a further expression of the focus of the project - individuality and what is behind it. "Being Well" is part of an ongoing body of work that investigates African Masks, self portraits, and the "spirit" embodied within them. 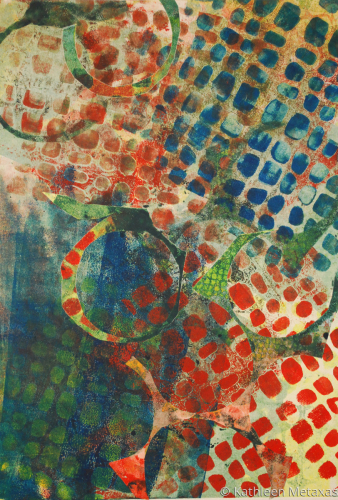 Collagraphs are one-of-a-kind prints created by first making a collage type plate using repurposed materials. Each plate is hand inked employing viscosity techniques. The unique quality of each piece is a further expression of the focus of the project - individuality and what is behind it. 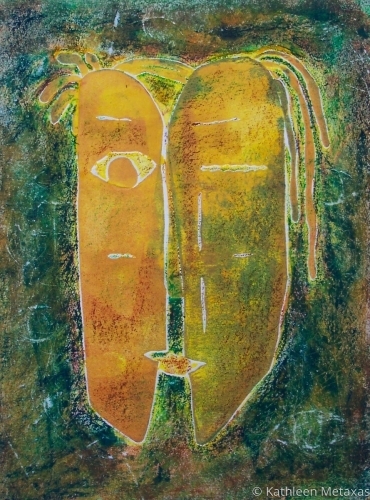 "Being Well in Earth" is part of an ongoing body of work that investigates African Masks, self portraits, and the "spirit" embodied within them. 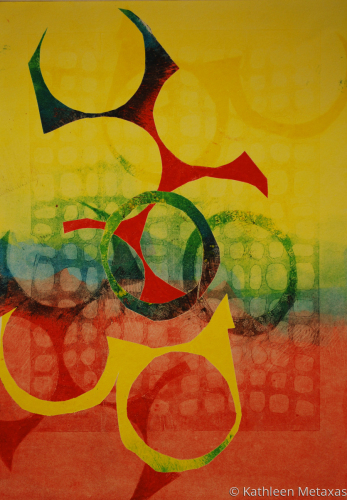 Collagraphs are one-of-a-kind prints created by first making a collage type plate using repurposed materials. Each plate is hand inked employing viscosity techniques. The unique quality of each piece is a further expression of the focus of the project - individuality and what is behind it. LOOK FOR THE PIECE ON THE TV SHOW MADAM SECRETARY!!! "Refuge Many" is part of an ongoing body of work that investigates African Masks, self portraits, and the "spirit" embodied within them. 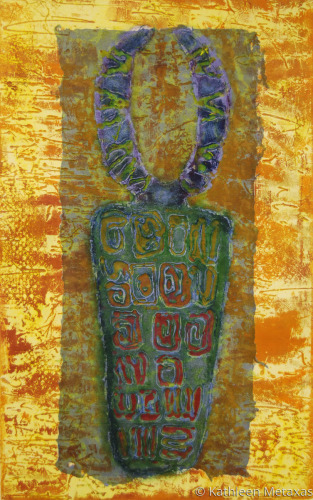 Collagraphs are one-of-a-kind prints created by first making a collage type plate using repurposed materials. Each plate is hand inked employing viscosity techniques. The unique quality of each piece is a further expression of the focus of the project - individuality and what is behind it. 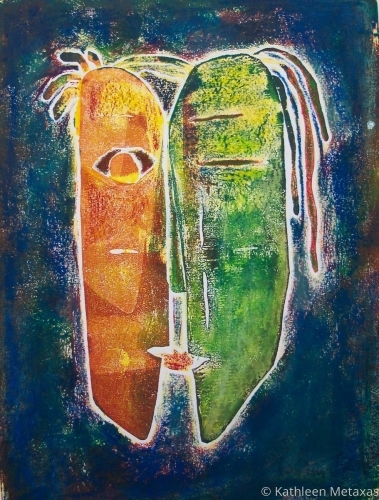 "Emboied Well Being" is part of an ongoing body of work that investigates African Masks, self portraits, and the "spirit" embodied within them. 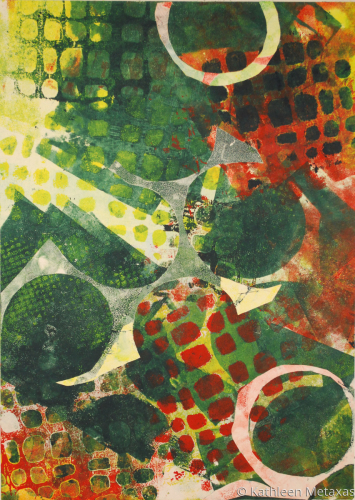 Collagraphs are one-of-a-kind prints created by first making a collage type plate using repurposed materials. Each plate is hand inked employing viscosity techniques. In this print I included my own handmade paper which is evidenced by the blue tone framing the central image. The unique quality of each piece is a further expression of the focus of the project - individuality and what is behind it. 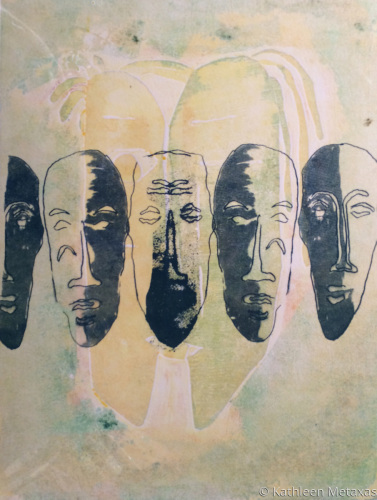 "Emboied Well Being" is part of an ongoing body of work that investigates African Masks, self portraits, and the "spirit" embodied within them. 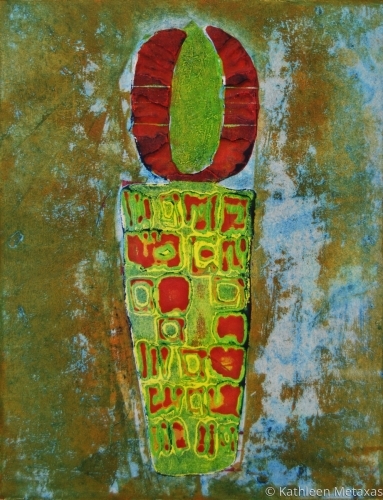 Collagraphs are one-of-a-kind prints created by first making a collage type plate using repurposed materials. Each plate is hand inked employing viscosity techniques. In this print I included my own handmade paper which is evidenced by the blue tone highlighting the central image. The unique quality of each piece is a further expression of the focus of the project - individuality and what is behind it. Collagraph print. My plate is made re-purposed objects. 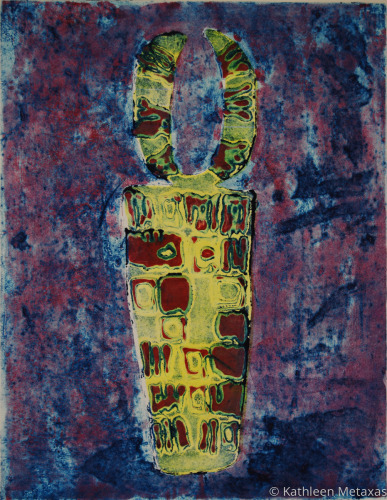 This Monotype was made during a live demonstration at the Arts Council of Princeton Fall Open House. I have created more that 30 monotypes while many people watch as I print one color layer at a time with the help of my portable etching press. 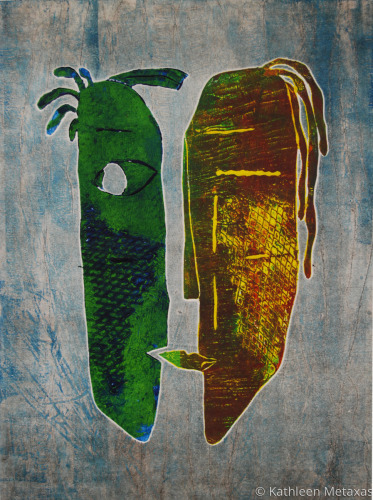 A Monotype is a one-of-a-kind print that is developed by applying and removing ink using an acrylic printing plate. 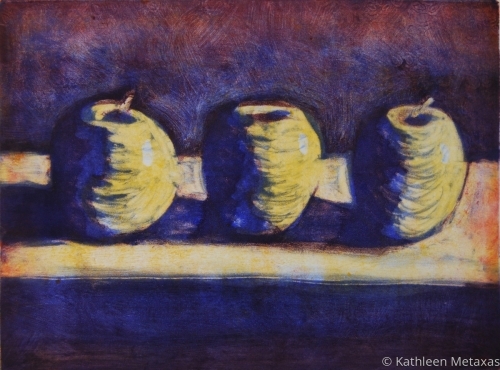 Monotype using lithography inks on Reeves BFK paper. 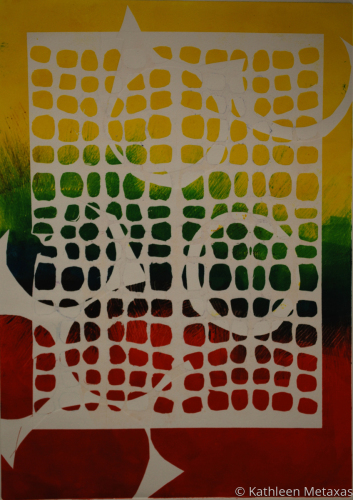 This piece consists of two printmaking methods. 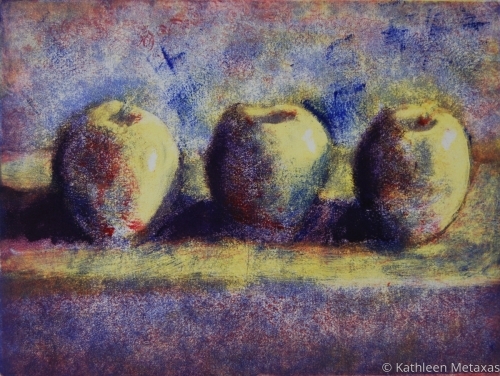 A collagraph print creates the background. 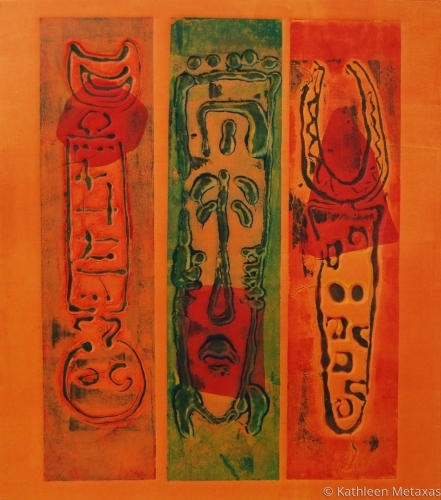 A silk screen was used to layer the mask forms in the foreground.